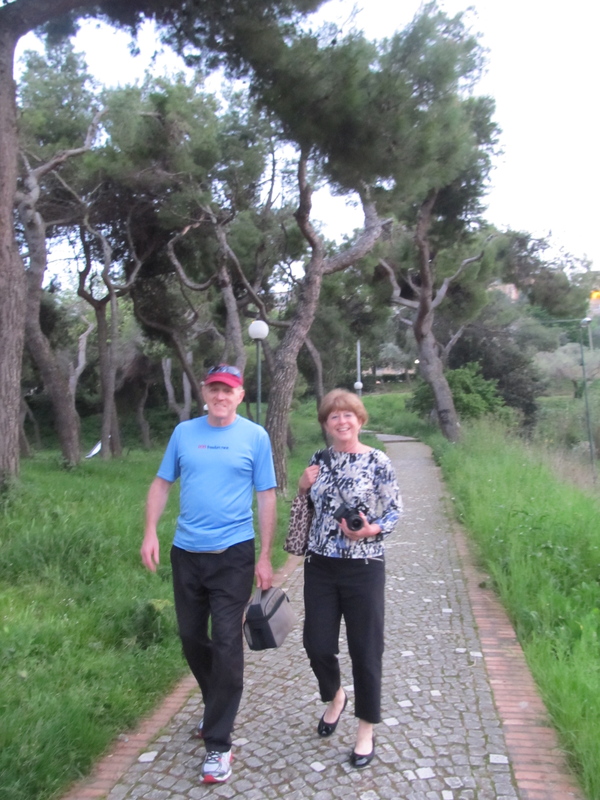 We’d leave Giulianova after having found our family after all and I’d still be curious as to whom else in this 20,000 person town we were related to. Addresses that had come out of our searches tended to be our great aunt’s second homes, those that were within the historic city and semi-abandoned. These brick homes held ground nearby to the central duomo, the ancient dome, as seen from the Adriatic. That dome bore a lovely ancient holding to the land above the ocean in Giulianova di Paesa, city center. But, this Sunday would be the day we’d been dreaming of for the last two years. This would be the day we’d tell all of our relatives about in the U.S.
We were all excited for our day to begin anyhow. Gabrielle and Maria Pia would be picking us up soon after breakfast and they showed up on the dot as welcoming as ever, with hugs and kisses. My husband and I got in the car with Maria Pia while my brother, Mom and Dad got in the car with Roberta and Gabrielle. Then off we went. It was going to take probably 45 minutes and we tried to communicate with the only Italian words we knew with Maria Pia. She put on the radio, got phone calls and drove fast. 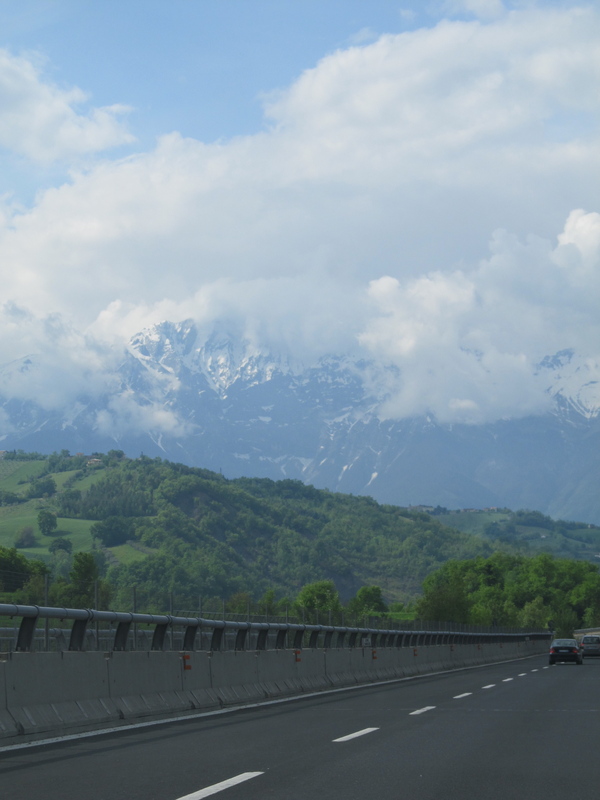 To Teramo, the thin highways guiding us back into the mountains, away from the two Giulianovas, Giulianova Pesante and Giulianova al Mare. Maria Pia was a crack-up, said she’d follow Gabrielle through the EZ pass equivalent toll lane, thought not having an EZ pass herself she had to reverse to go through a proper one. This began the laughter between our cars. This happened twice on our trip. What was even scarier was the two time she pulled into oncoming traffic lanes at the toll booth! We were almost in pain from laughing. Gabrielle, the car ahead of us, noticing what was happening behind him would put an arm out the window with a raised fist asking verbally and joking, what are you doing!? She was light-hearted and laughing too. We did though make it to the church in one piece. It was a quiet Sunday morning up in the mountains of fog.